The Toyota Highlander was one of the first vehicles designed as a crossover, and has been a consistent leader since. 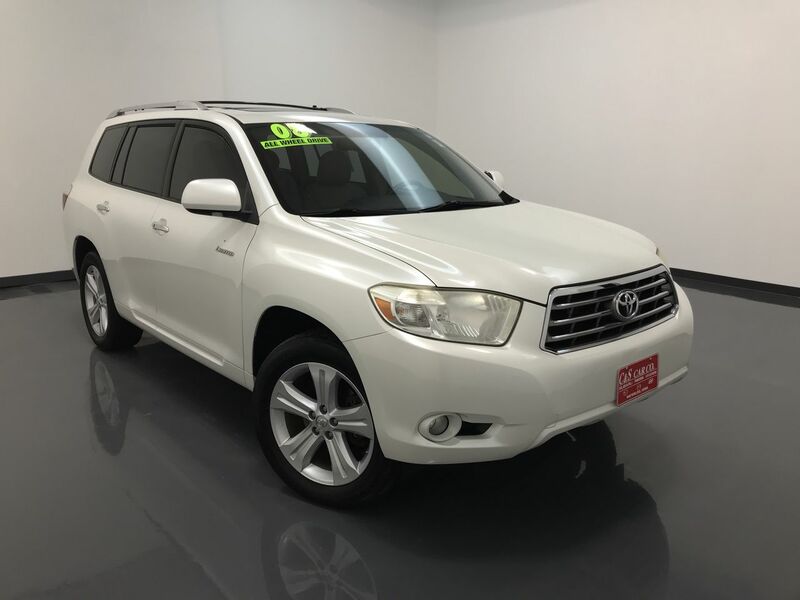 This 2008 HIGHLANDER LIMITED AWD has a leather interior with heated and power assisted front seats, keyless entry and ignition, dual front climate zones and a rear climate zone, a sunroof, power rear lift gate, a back-up camera, and wood grain interior accents. The JBL infotainment system has navigation, an AM/FM/CD sound system, and a DVD player for the rear passengers entertainment. This Highlander has 19" alloy wheels with Bridgestone tires, a roof rack with cross rails, and a 2" receiver hitch. Call C & S Car toll free at 866-212-87128 or locally at 319-291-7321.